Down captain Joe Lennon is shouldered off the pitch by supporters after the Kerry v Down All Ireland Senior Gaelic Football Final, 22nd September 1968. 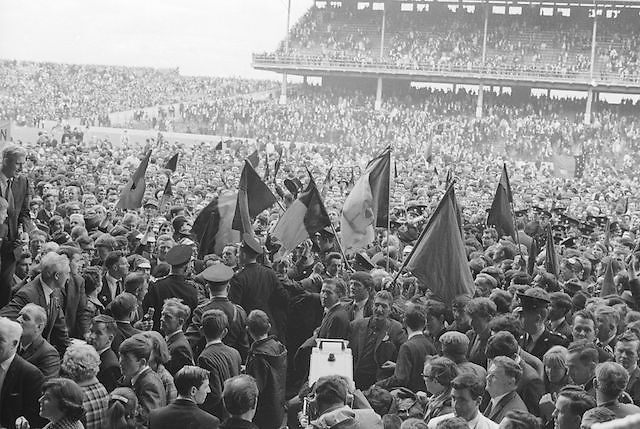 Down captain Joe Lennon is shouldered off the pitch by supporters after the All Ireland Senior Gaelic Football Final Kerry v Down in Croke Park on the 22nd September 1968. Down 2-12 Kerry 1-13.